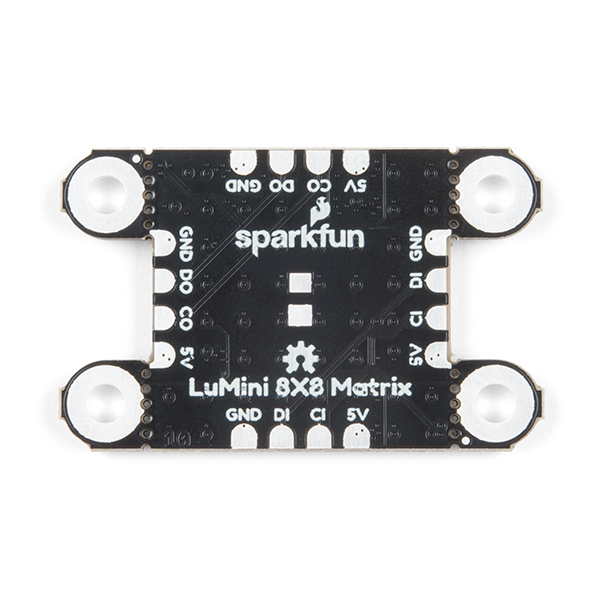 The LuMini LED Matrix is powered and controlled using a few solder pads on the back of each board. 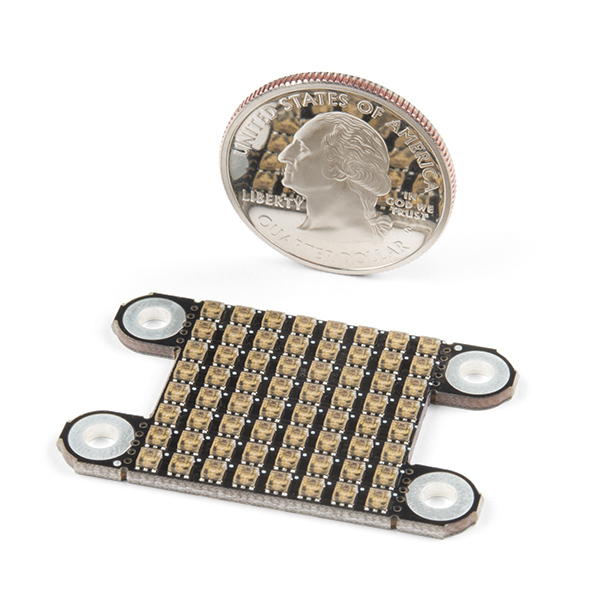 These pads include 5V and ground, a set of pads for data in and clock input, and another set for data out and clock output. 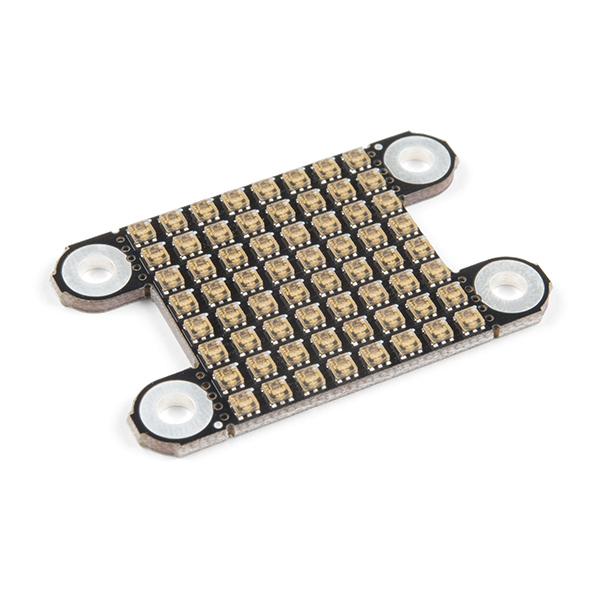 Since the matrix acts like a string of LEDs, the indexing (or numbering) of the LEDs moves from left to right, bottom to top of the board, on the LED facing side. The last handy feature we've equipped the LuMini LED Matrix with is four detachable mounting points that can be used to secure your ring to a surface/project or be broken off to make more complex designs. 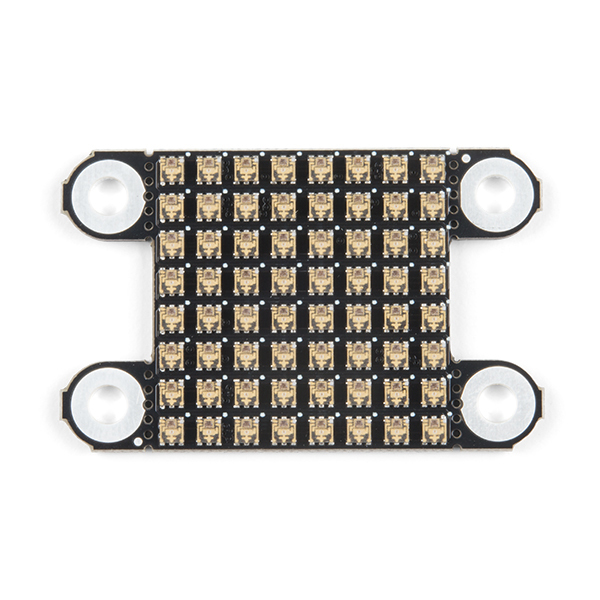 However if you want to break off the mounting holes from the board, multiple matrices can be soldered together to form a larger display!